What is this world coming to!??? TMZ has acquired a search warrant that was filed against a 14 yr old Kentucky girl. 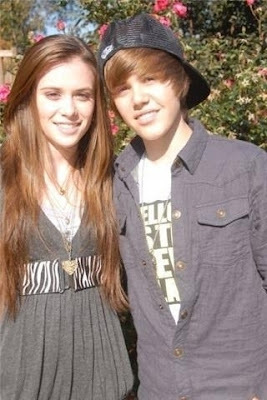 The girl used social media site tumblr to put out her messages of death and hatred for Justin Bieber's ex Caitlin Beadles. She also dislikes JB's current girlfriend Selena Gomez, but most of the commentary was directed towards Beadles. The JB stan went as far as a detailed plot on how she was going to kill Beadles with a knife, and how Beadles, "..wont know whats coming.". Scary! Further investigation revealed that the young girl is a special needs individual, and theyve just asked her mother to keep a closer eye on her while she's on the internet. Wow.